Depending where you look, you often get a different story about the quality of care at a given institution. For example, none of the 17 hospitals listed in U.S. News and World Report’s “Best Hospitals Honor Roll” were identified by the Joint Commission as top performers in its 2010 list of institutions that received a composite score of at least 95 percent on key process measures. As an illustration of the variability of quality, the Emily Jerry Foundation recently released its “2013 National Pharmacy Technician Regulation Scorecard”. The development of this scorecard was prompted by the heartbreaking story of what happened to two year old Emily Jerry. Emily had waged a successful battle against cancer. Her treatment had been so successful that her last MRI clearly showed that the tumor miraculously disappeared. In fact, three radiologists had to review her MRI films due to the fact that there wasn’t even any residual scar tissue left. Emily’s doctors said it was as if she never had cancer! Regardless she was scheduled to begin her last chemotherapy session on her second birthday, February 24, 2006. This last treatment was just to be sure that there were no traces of cancer left inside of her little body. Tragically, it was not cancer or the reoccurrence of cancer that ended Emily’s life. She was killed by an overdose of sodium chloride in the last chemotherapy IV bag she received. Shortly after Emily’s tragic death, it was determined that a pharmacy technician, who did not have the proper training or core competency to be compounding IV chemotherapy, had made the deadly compounding error. The primary reason the pharmacy technician involved in Emily’s death lacked the core competency to be compounding IV medications safely, was due to the simple fact that in 2006, in the state of Ohio, there were absolutely no requirements to become a pharmacy technician, aside from having your high school diploma. No training requirements, no continuing education requirements, no oversight by the Ohio State Pharmacy Board, no licensing or registration requirements, etc. What is even more disturbing, is the fact that The Emily Jerry Foundation has been receiving an outpouring of concern from most people in the general public, as well as, the caregivers themselves, who were previously completely unaware that in all of our nation’s world renowned medical facilities, including the leading pediatric facility where Emily was treated, pharmacy technicians are the individuals responsible for compounding virtually all IV medications in the clinical pharmacy. It was this type of variability in quality, in terms of pharmacy technician requirements, coupled with the fact that the pharmacy technician’s overall scope of responsibilities have expanded greatly in recent decades, that led to the passage of Emily’s Law in the state of Ohio in January of 2009. Even though Emily’s Law significantly helped to reduce much of this variability in quality in the state of Ohio, this inherent problem is still very evident in many other states across the nation. The Emily Jerry Foundation’s 2013 National Pharmacy Technician Regulation Scorecard highlights the states that are doing a great job of protecting their patients through strict controls and educational requirements for pharmacy techs, as well as encourage those that are lagging behind to make improvements in their own standards in order to improve care and potentially save lives. States like North Dakota received a perfect score based on the Foundation’s grading criteria. However, it’s now 2013 and six states still have no oversight by their respective state boards of pharmacy and, subsequently, no regulation regarding their pharmacy technicians. Numerous studies have shown that overall pharmacy error rates are volume dependent. With that fact in mind, pharmacy technician oversight and regulation issues like these, become even more of a serious matter of public safety in states like New York, which currently has the second highest prescription volume in the United States (253,796,344 Rx filled in 2012). How should this variability in quality be fixed and subsequently managed? 7. Task a single entity with defining standards for measuring and reporting quality and cost data, similar to the role the Securities and Exchange Commission (SEC) serves for the reporting of corporate financial data, to improve the validity, comparability, and transparency of publicly-reported health care quality data. Of the proposals, perhaps the biggest game-changer would be the creation of an entity to serve as the health care equivalent of the U.S. Securities and Exchange Commission. Rather than wading through a bevy of competing and often contradictory measures, patients and others would have one source of quality data that has national consensus behind it. While the merits and demerits of a SEC for healthcare can be debated, one thing is clear from the comments posted in reply to Dr. Pronovost’s article – experts in specific areas should build consensus and determine what the ideal system should look like. An example of the development of consensus is in checklists. 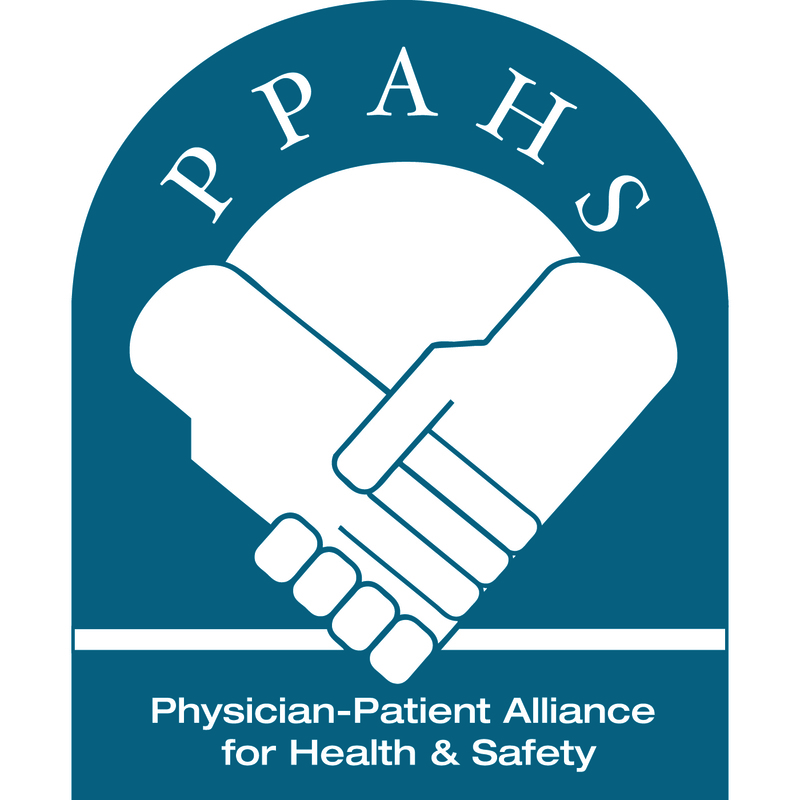 The checklist developed by the Physician-Patient Alliance for Health & Safety reminds caregivers of the essential steps needed to be taken to initiate Patient-Controlled Analgesia (PCA) with a patient and to continue to assess that patient’s use of PCA. While opioid use is generally safe for most patients, opioid analgesics may be associated with adverse effects, the most serious effect being respiratory depression, which is generally preceded by sedation. More than 56,000 adverse events and 700 patient deaths were linked to infusion pumps in reports to the Food and Drug Administration (FDA) between 2005 and 2009. One out of 378 post-surgical patients are harmed or die from errors related to the infusion pumps that help relieve pain after surgical procedures, such as knee or abdominal surgery. More recently, Pennsylvania Patient Safety Authority released its analysis of medication errors and adverse drug reactions involving intravenous fentaNYL that were reported to them. Researchers found 2,319 events between June 2004 to March 2012 — that’s almost 25 events per month or about one every day. Although one error a day may seem high, their analysis is confined to reports made to the Pennsylvania Patient Safety Authority and only include fentaNYL, a potent, synthetic narcotic analgesic with a rapid onset and short duration of action. The relentless push for quality and better patient safety must continue. To do otherwise will mean more Emily Jerrys and Amanda Abbiehls (who died after unmonitored use of a PCA). Frame the size of your problem. I suspect that all of your viewers either have been touched by or a family member has been harmed by mistakes. It is the third leading cause of death in this country. More people die from medical mistakes each year than died per year in the civil war. So, make sure adequate training is provided for all those involved in healthcare delivery, like pharmacy technicians, and use checklists as a reminder of essential steps, such as the PCA Safety Checklist. It just may save a life. In reviewing the article it certainly resonated in my clinical experience as a professional RN that lack of competencies occur far to often and as a result there is an occurrence of major patient harm event or death. This would be easily remedied with the development of clinical competencies and annual credentialing for any clinician who performs task on or to a patient that is associated with any potential risk. In the case of the Pharmacy technician, the evident lack of dosing and handling competencies resulted in a preventable death- it is worthwhile to go the extra mile to ensure all staff possess the necessary skills, knowledge and documented training to provide treatment to patients. In reading Provonost’s 7 recommendations for the potential of improving performance measures he is wise and visionary in developing building blocks for maximizing quality in patient safety. The implementation would be easy to disseminate and the “buy in” should be clearly evident as the cost of not doing so jeopardizes the true nature of best practice in patient care delivery. The last statement is very noteworthy as it really is as simple to develop competencies and maintain proficiency but more important there is a develop PCA safety checklist that is easily retrievable on the PPAHS web site. This was developed as a result of identified harm and adverse patient events that could have been prevented. The checklist is a type of check and balance as well as a reminder list of what needs to be done before initiation of PCA therapy. The work is already finished it does not take any effort to institute the PCA checklist and the end results are preventing avoidable harm and potential death due to opioid induced events.